It’s a case of eyes to the skies this week, with ‘some’ rain forecast and the river a little higher than usual, the regatta on Saturday is all pinned on the weather. For those of you who are as obsessed as me, the link for the river level is below. In anticipation, Brian and indeed the whole club are thankful for those who have volunteered their time already for the event on Saturday. 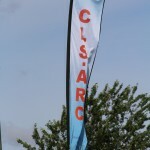 Mark Snook has sent out the invoices for the year on the 2nd and 3rd of April, if you haven’t received an email from him as yet, would you please contact him at club.finance@clsarc.org. The draw for the regatta is on the link below and the information for boats and fees, which we would appreciate being paid asap to either Simon or Bob. The blade and boat allocation will be sent out on the Facebook page separately. The landing and steps are booked in for repairs the week after the regatta so there may be some disruption to sessions if the weather behaves itself. The feedback from the GB Pathways and recent GB j16 camp was very positive and I am sure our reputation as a result of having so many juniors at these events has grown. Let’s hope the weather is kinder this week.